"As a new Mac user I have managed to forget my keychain password. How to find a keychain password on MacBook? Is there a way to recover it without re-installing OS X?" The keychain program is a Mac OS X (10.9, 10.8, 10.7 and lower) application that allows your Mac users to protect and encrypt your passwords. It's a very handy tool, and enables you to use different passwords for different websites, web forms, FTP servers, SSH accounts, network shares, wireless networks, groupware applications, encrypted disk images, etc. 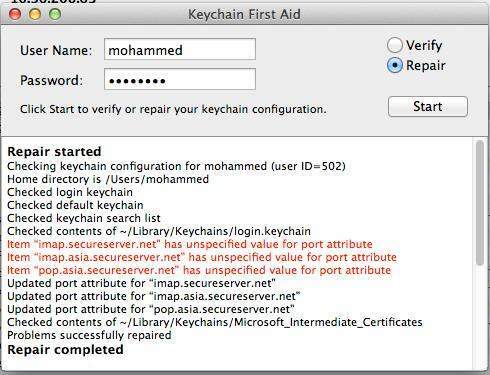 Keychain is one of the security features that make Macs so infection – and hacker-resistant. Your keychain is password protected, and sometimes that is a problem – like, when you forgot your keychain password. 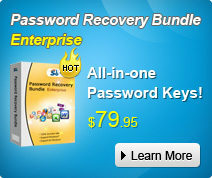 In this case you will have no access to all of the passwords and encryptions in it. Then you have to find your keychain password on Mac urgently. Read this post to learn how to find login keychain password on Mac. 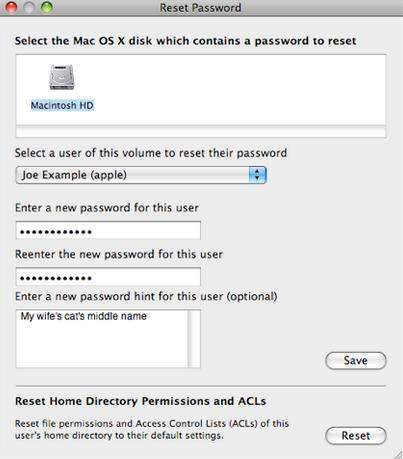 Note: If you forgot your Mac login password and could not access your Mac OS X, click here to learn how to reset Mac login password in easy steps. Go to your Utilities/Applications File > Select "Keychain Access" > Choose the Keychain First Aid utility and click "Repair". It will ask for your username and password, and will tell you if any problems are found. You can have it reset the password to your user password. Note that it allows you to access your keychain but doesn't change any of the passwords or encryptions in it. If it doesn't repair completely, keep reading. If you're the administrator and you've forgotten the password to login keychain and the administrator password, you can only recover from the Mac OS X disc without reinstalling the entire OS. 1. Insert the Mac OS X Install disc and restart the computer. 2. When you hear the startup tone, hold down the C Key until you see the spinning gear. 3. When the Installer appears, choose Utilities > Reset Password. 4. Follow the onscreen instructions to change the password. 5. Quit the Installer and restart your computer while holding down the mouse button to eject the disc. 1. Open Keychain Access, located in /Applications/Utilities. 2. Choose Keychain List from the Edit menu. 3. Select the "login" keychain. 4. Click Delete (the "-" button). Go to the file menu > select "New" and "New Keychain"
You can use the Password Helper to help you select a strong password, but make sure you can remember it this time. Choose the most appropriate way on how to find out a keychain password on MacBook Pro, iMac, MacBook Air, Mac Pro, etc. Recover keychain password with great ease.